I don't know what I expected by I'm kind of glad this book wasn't it. 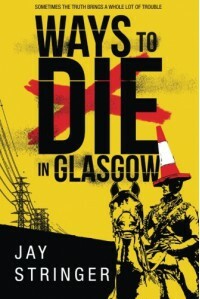 For the first third of the book I was so bored with the patronising tone, the gore, the over-the-top descriptions of the Glaswegian criminal underbelly that I really considered swapping this book out for another. Would the solution to the murders - plural, there are lots - turn out how I imagined it? There were elements in this book that I didn't enjoy but that I appreciate for needing to be in the story to create the Noir atmosphere and setting. And, yet, having finished the book, I am left with a smile, looking forward to the next adventure featuring Sam Ireland and her haphazard ways of investigating, and hoping that I might enjoy this series just as much as McDermid's Karen Pirie books, which I was reminded of more than once this afternoon.